1. Find a space where you can be without distraction. 2. Find a posture that is alert and comfortable. 3. Give attention to your breathing. Do nothing to do something – thank you for this reminder at a time when I am trying to make changes in my life – it’s tempting to step in and act before you’re ready. Thank you – love your posts on both beloved life and morning bell – as an artist myself I really appreciate them. Hi Ian, not sure if a song about stillness fits here? I wrote it a few weeks ago. Thanks for your thoughts. 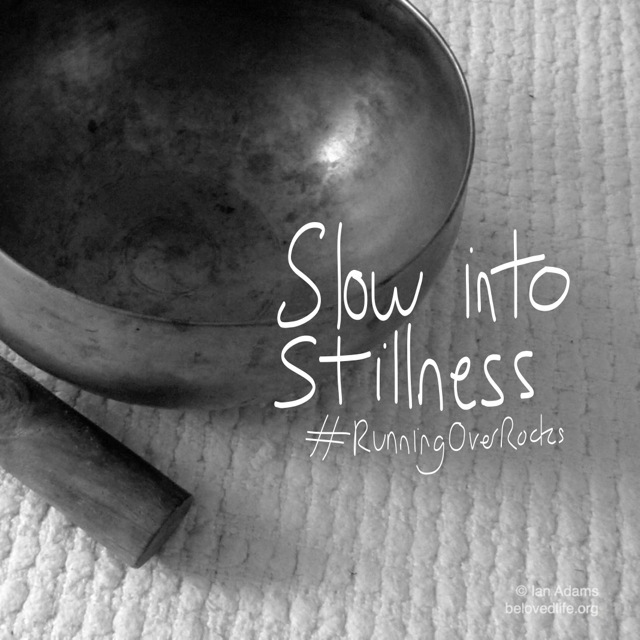 How often I need to remember that everything flows out of inner stillness….hence the song got written, I guess ! “I will be still…come to rest…. I will wait Lord, for You. I will give time, give patience, give space…………..